A popular trend 2018 has us going back. To update your home with a modern farm house design, try using distressed wood planks. 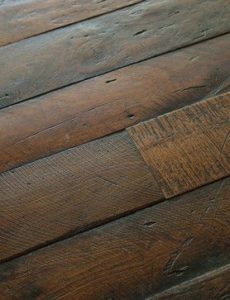 Distressed wood planks have a lot of character. They are often Eco-friendly and used from reclaimed wood. 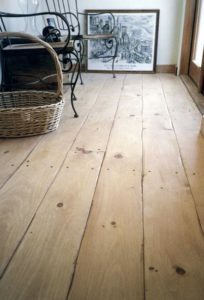 Distressed plank flooring takes us back to some of the older days of flooring. A traditional hardwood floor is a beautiful improvement to any home. There are plenty of options for distressed plank floors. Brighten a room with light rustic planks or a darker wooden look to add warmth. Another look captured by the distressed plank flooring is peeled paint.The planks are often reclaimed wood and may have some paint on them. Buffing the paint out may create an inspiring design for your home. It is also possible to recreate this look with new wooden planks. 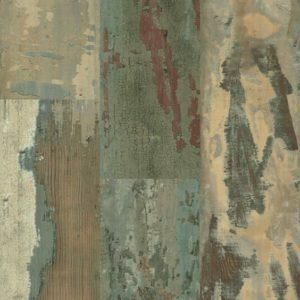 Mix matching the distressed plank flooring can also offer a new design to your home! The above image show cases reclaimed wooden planks. 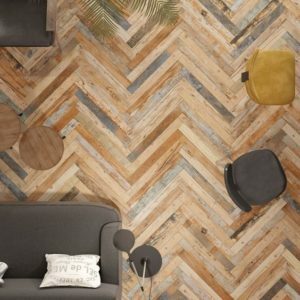 This distressed look is complimented with a parquet geometric design. As previously mentioned in our blog, parquet hardwood flooring is a trend for 2018. Planks are easy to add to a home. Planks are light and affordable when compared to traditional hardwood floors. Planks are easy to self install. They leave room for error and are very forgiving in fixing mistakes. Planks are a great alternative to traditional wooden floors because they are easy to replace. With hardwood floors, the worry often comes from scratching them up. 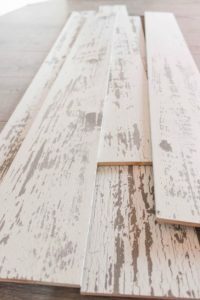 Distressed plank flooring can be more manageable when moving furniture around due to the planks being hard to scratch. Though with an intentional distressed look, the benefit from the design is that mishaps on the floor usually come with good stories. If you are looking for a distressed plank floor look to update your home for 2018, contact us today at AAI Flooring in Orange, CT.